This unknown level was never started. Rumor has it that it would have been used in the 'Time Travel' version of Sonic 2, where it was the future of Metropolis Zone, which was the future of Wood Zone. 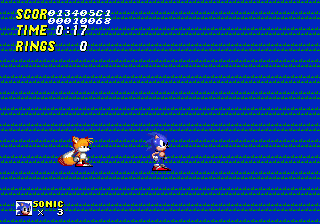 The level is empty, where Sonic will fall to his death.